← Dog of the Day: Mac the Nice! Autumn is babysitting Boo, who has been identified by his owners as a velvety land hippo. And who are we to question? Boo has some hip problems, the result of being stuck in a concrete-floored shelter for two damn years, but mostly doesn’t let that slow him down. Totally game for the stairs. 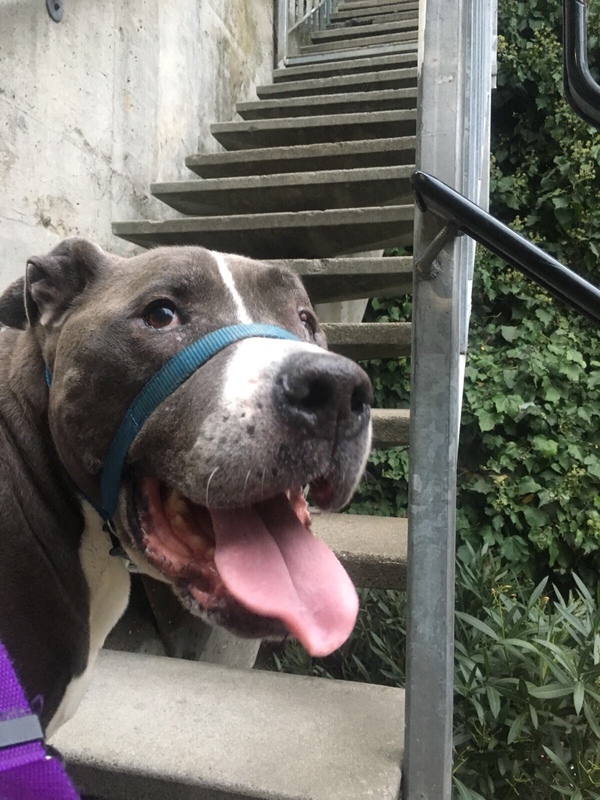 This entry was posted in Dog of the Day and tagged American Pit Bull Terrier, Near Home, Russian Hill. Bookmark the permalink.